Thank goodness it’s Friday! 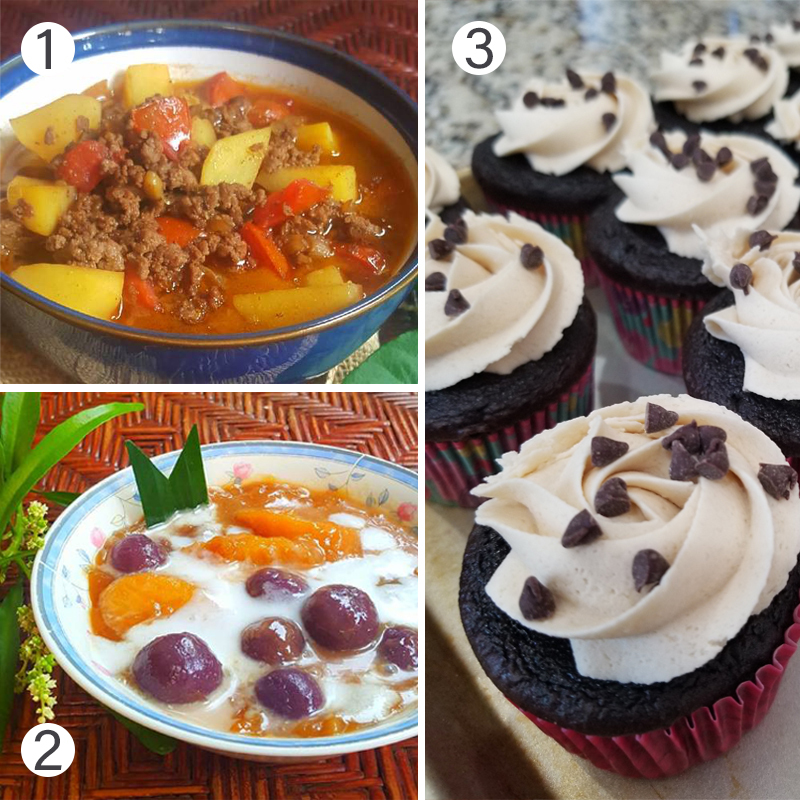 Not only is the weekend almost here… but it’s time for another edition of our Foodie Friday series here on The Digital Press blog! This week we are featuring TDP designer Meta Wulandari — the name behind Calista’s Stuff. Meta has already been featured once before on The Digital Press blog; if you would like to learn more about her, you can check out her first feature from May of 2017 HERE. You can also learn more about her design style by checking out her gorgeous store at TDP. What’s all of that deliciousness you see pictured above? Melt unsalted butter in a pot and add in onion, garlic, pepper, nutmeg and bay leaves. Add the beef, and sweet soy sauce to the pot and let them brown a little bit for about 10 minutes. Pour in the water and bring to a boil and lower the heat and slowly simmer for about 1 hour until the meat is tender. Add in the tomatoes after 30 minutes of cooking and add the fried potatoes in 10 minutes before the end of cooking. Gently stir everything to mix. Heat the coconut milk in a boiling pan, add palm sugar and stir until the sugar completely dissolved. You can adjust the sweetness according your taste. Keep stirring the coconut milk to prevent from lumpiness. Then add the banana and purple sweet potato balls, bring to boil. Add the pandan leaf and pinch of salt, stir again. Taste the soup to make sure it’s sweet enough for you. Serve it warm or with rice. Add the brown sugar & mix until combined. Sprinkle Mini Chocolate chips on top to decorate & Enjoy! Oh my… don’t those recipes all look amazing!? 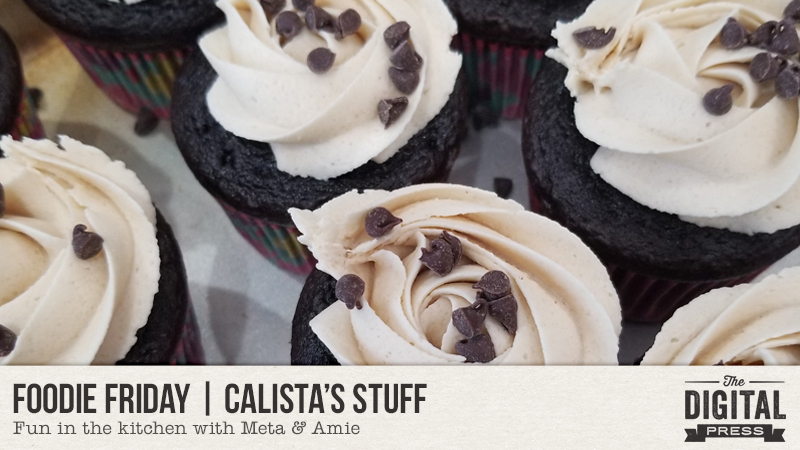 I’m totally adding to my shopping list this week — I’ll have to hunt down some of Meta’s ingredients! We hope you’ll give them a try, as well (and please feel free to leave us any questions or comments!). Happy Cooking! 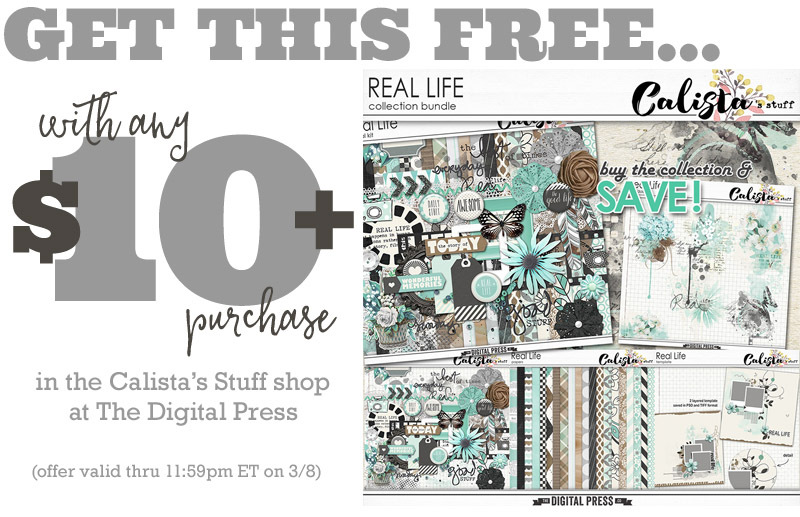 Last but definitely not least — Meta is having a fantastic sale and is offering a special Free-With-Purchase offer! Not only is the entire Calista’s Stuff shop marked down 30% OFF throughout her entire feature week (sale prices will be valid through 11:59pm ET on Thurs 3/8)… but she also has the following Free-With-Purchase offer available in her shop all week long, as well — spend $10+ in the Calista’s Stuff shop at The Digital Press and get her entire Real Life Bundle completely FREE! About the Author Amie is a craft-loving dental hygienist who lives in Washington state. She loves her husband, her two crazy kids, and her English Bulldog… as well as coffee, baking cupcakes, daffodils, glitter & sprinkles, reading a good book, and lip gloss — not necessarily in that order.